As a mother, I'm really excited about this giveaway. 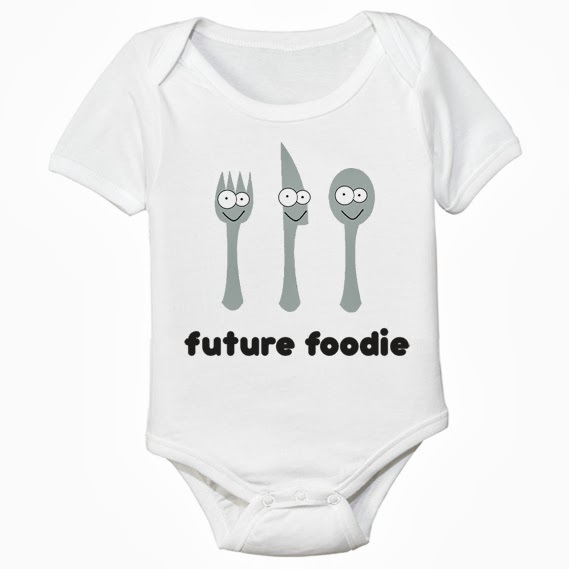 The Spunky Stork, an online baby and toddler clothing boutique dedicated to eco-friendly materials (from organic fabrics to recycled packagings) is offering this adorable "Future Foodie" onesie or toddler T (your choice) to one lucky winner. Um, can I win?? But you don't have to be a mama to enjoy this giveaway, you just have to know a kid who might like it, or perhaps you just enjoy super tiny T-shirts yourself, ahem... Adam Levine?? Please visit Spunky Stork, look around, and comment below to win. You must be an official follower of this blog to qualify, and a winner will be chosen at random on Friday, October 4th. p.s. I don't know who that kid is but he, is, CUTE. Can I get the shirt and the kid sent to me? Kthanks! These are so darn cute! My son would look pretty freaking awesome in one! The shirts are tooo cute. Love this! Also love the Pirate one on the website. ahhh my daughter needs this! 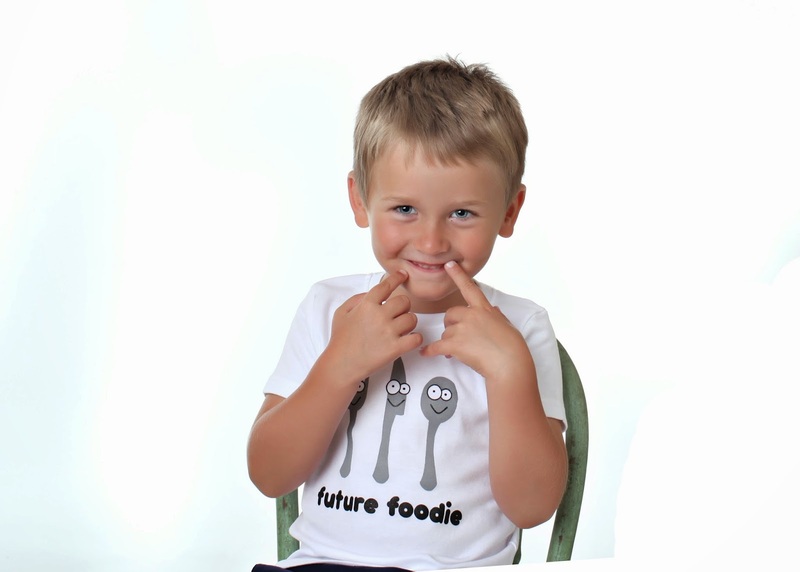 Great website with really fun onesies and t-shirts... Future gifts for all of the little ones expected to arrive this year! Thanks for sharing! Cute stuff! What a great site for unique baby gifts. My son would look so cute in this! Thanks for the opportunity. Super cute! I love clever things like this for kiddos! oooh too precious! My 3 (soon to be 4) year old son loves to help me in the kitchen! I bet he'd adore this shirt! Oh my nephew would look so cute in that! What a great website! My baby MAY be future foodie. She's only three months old but all she does is eat. I know a cute kid to give this shirt to !!! And that kid is cute! My son will pull off this shirt. I so want it for my son.